Featuring cutting edge, premium ultra-resistant carbon technology, this gents automatic designer umbrella really is something else. It’s simply dripping with quality. 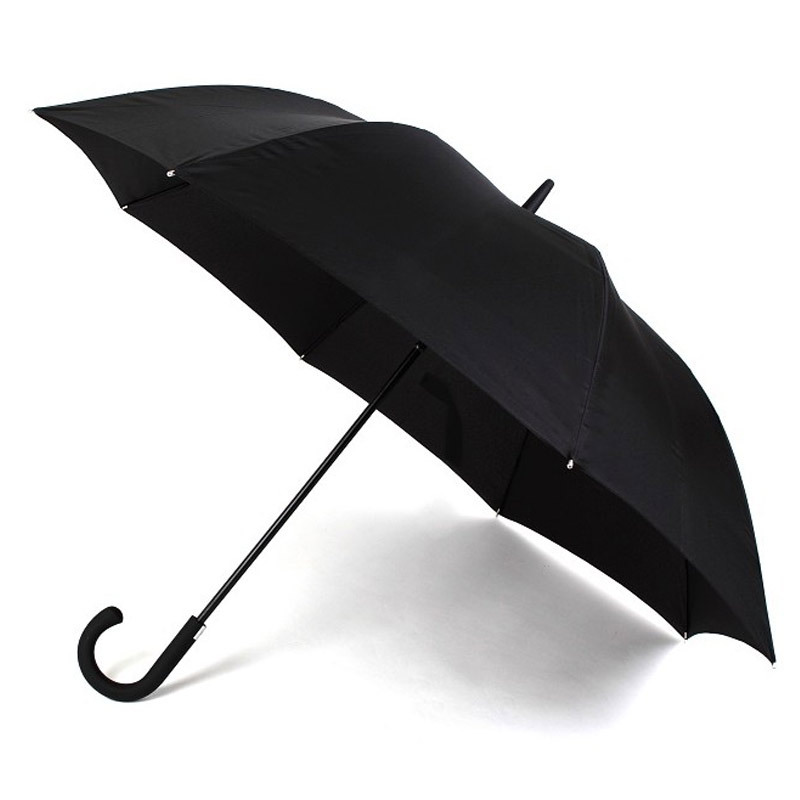 The Eibar raises the game in mens umbrellas. 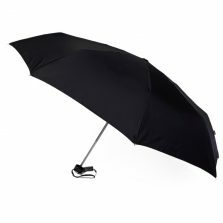 At first sight it seems to be a traditional mens walking umbrella – but when you check out all the features of this fabulous umbrella you will agree it’s heads and shoulders above the rest. With a Teflon coated, 8 panel pongee canopy boasting a span of 113 cm (44.5″), this really is a fantastic design. 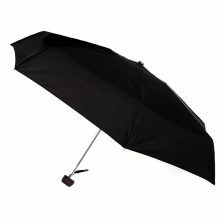 Also, this automatic opening gents designer umbrella is a good strong walking umbrella with an anti-slip rubberised tip. It has a smooth, automatic opening mechanism operated by a integral VOGUE branded silver push button, mounted in the stylish crook handle. 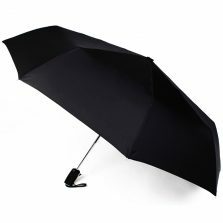 Also, the handle of this automatic gents designer umbrella is something you really need to see, touch and feel to believe. It has a two-tone gloss/matt black/grey pattern and just feels good in your hand. 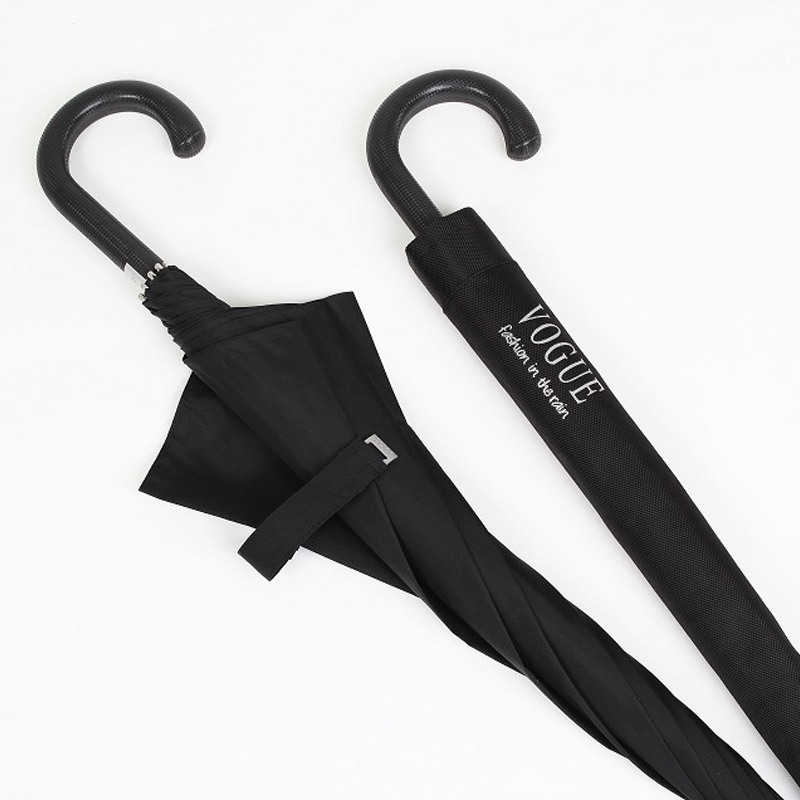 The umbrella also has a quality, broad matching black fabric tie wrap with a smart silver VOGUE tag. 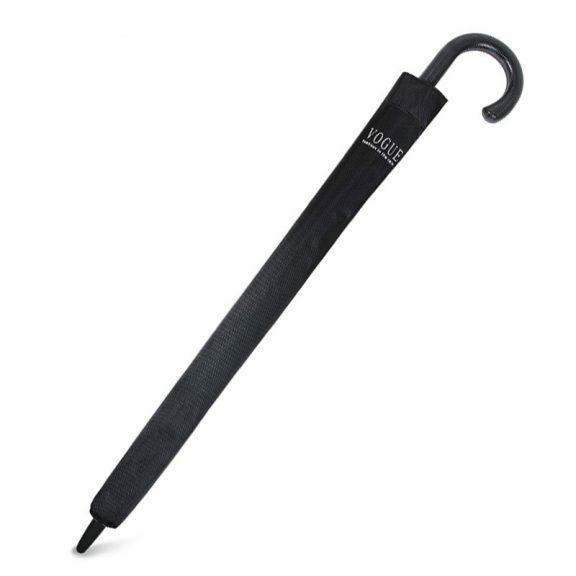 With strong black carbon fibre ribs this modern gents automatic designer umbrella is totally windproof. The sleeve is made in a thick, strong woven two-tone fabric. Approx. 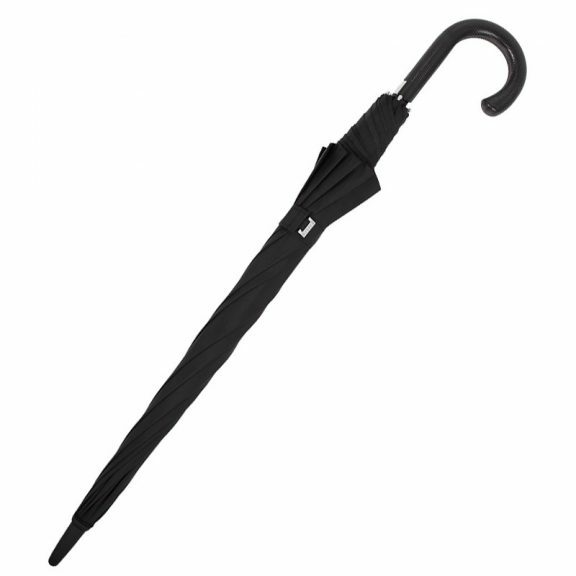 88 cm (34.5″) long from handle to tip. Weight is approx. 700 grams. 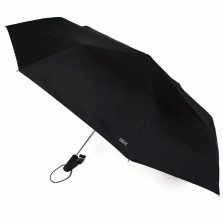 If this is not quite the right black walking umbrella for you, check out our black umbrella range! Fantastic quality and great size.